To earn some extra battle stars you’re going to have to get acquainted with Fortnite’s newest weapon-vehicle hybrid: the Pirate Cannon. Next to the trusty cutlass, is there a nautical weapon as piratey as a cannon? 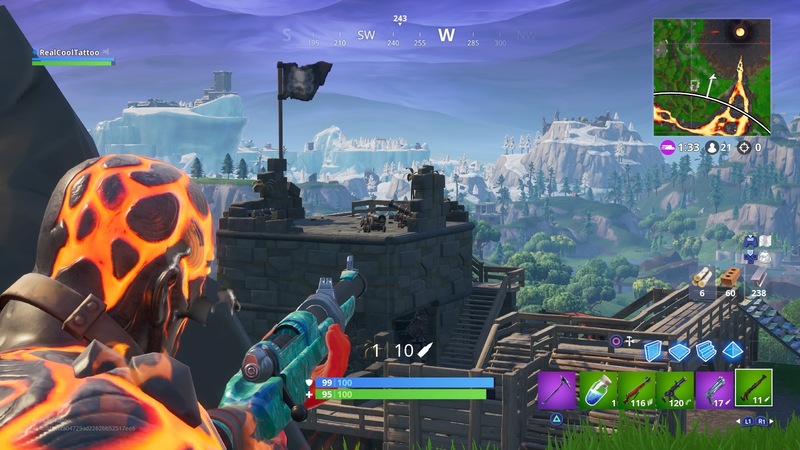 Along with “Visit the furthest north, south, east, and west points on the island“, one of this week’s challenges is to deal damage to enemies using the Pirate Canon, so here’s where you can find one. Not only can you wheel a Pirate Cannon around like a shopping trolley, but it fires explosive cannonballs like a mounted turret. The cannonballs break through all kinds of objects and structures instantly, making this a unique weapon and a powerful tool against late game bases. It’s best feature though, is that you can enter the front of the cannon and fire yourself out of the front. It’s a great way to cover a decent amount of distance quickly, and your character will break through objects and scenery, so it’s good for re-positioning. The majority of the Pirate Cannons are in the Pirate Camps around the map, but there are a few in different places like Lazy Lagoon and east of Happy Hamlet. We’ll add more locations as we find them, but let us know in the comments if you find any! 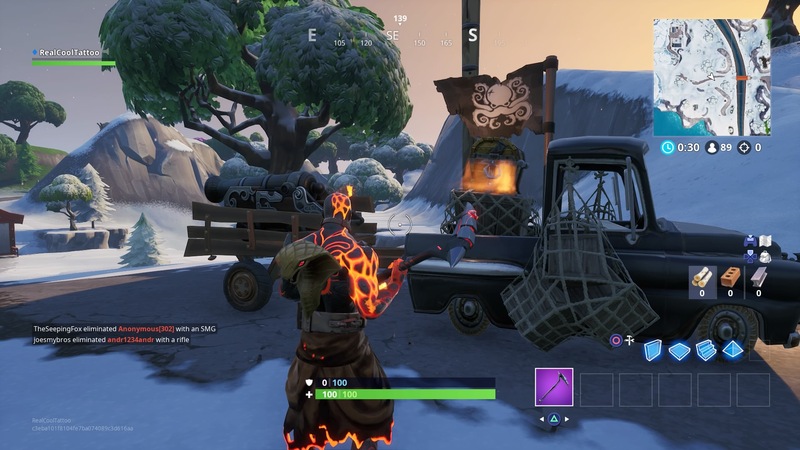 There’s a Pirate Cannon on the back of a truck on the road between Happy Hamlet and Lucky Landing. It’s just a little to the west of the bridge between the two areas.